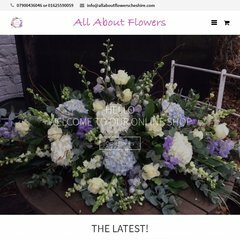 alderleyflowers.co.uk Alderley Flowers, Florist, Floral Gifts, Bouquets, Wedding Flowers .. The programming language environment is ASP.NET. ns2.heartinternet.co.uk, and ns.heartinternet.co.uk are its DNS Nameservers. Heart Internet Ltd England is the location of the Microsoft-IIS/7 server.